Good foods are not the only ones you need to know. The worst foods for heart health need to be acknowledged as well. It’s difficult to ignore the existence of bad foods. They are everywhere! Many of them even become many people’s favorite foods. Naturally, you need to avoid these foods to stay healthy. There are several things that make foods bad for the heart. Nothing is perfect and foods don’t always give benefits. Foods that have through multiple processes are bad. Many of them lost the essential nutrients during the processes. And worst, they may have been mixed with too much sugar, salt or oil. Another way to make foods unhealthy is to cook it wrongly. The following foods are considered being worst foods for heart health. Make sure to avoid them to maintain the heart health. 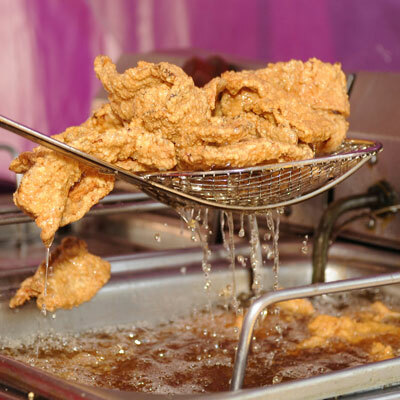 Anything fried in hot oil is not good for the heart. The oils will increase the levels of bad cholesterol while reducing the good cholesterol. This increases the risks of heart disease. Stir-fry vegetables are okay when cooked with olive oil or canola oil. Candies, sugary drinks, and various kinds of high sugar desserts are no good. It is easy to guess why. Sugar contributes to diabetes, inflammation, obesity and even high cholesterol. These are the factors that will increase the risks of heart disease. Salt is a notable seasoning and naturally being included in every possible cooking. However, too much salt is not good. Salt contributes to high blood pressure. And hypertension is one of heart disease risks. As aforementioned; processed foods are amongst the worst foods for heart health. Bacon and sausages are examples of these foods. Many of cured or processed meats are high in saturated fats and salt. As both can increase heart disease risks, you obviously need to avoid them.